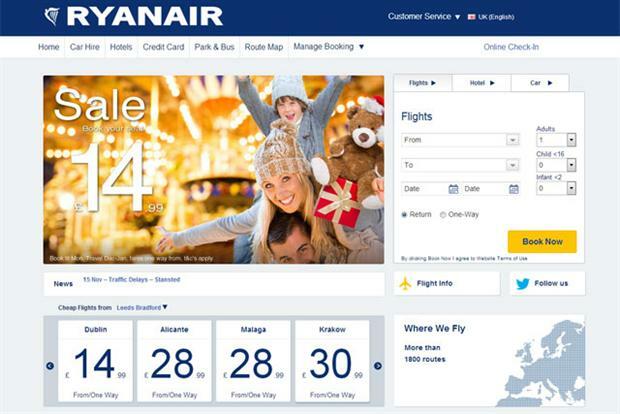 Ryanair is facing an array of technical glitches on its newly revamped website, Ryanair.com, leaving customers without booking confirmations. A statement on Ryanair’s site claims a "system problem" means the brand is experiencing delays to the delivery of email travel itineraries. It advises consumers not to make duplicate reservations, as travel itineraries "will be delivered shortly". The problem appears to run deeper than simply receiving travel itineraries. One complainant told Marketing they had been made to enter their credit card details six times while attempting to book flights worth £800, while receiving no confirmation of the booking. The glitches come at a critical time in Ryanair's customer services overhaul, and days after it announced Kenny Jacobs is to join as the brand’s first chief marketing officer. The complainant called Ryanair’s call centre twice to try and rectify their booking issues, and was told not to use the Chrome or Safari browsers in order to book flights, but instead use Firefox and to delete all cookies and browser history. They were given a booking reference over the phone, and to date, this is the only confirmation of booking the complainant has had. Ryanair’s statement apologised for any inconvenience caused, and asked that customers "refrain from contacting our call centres regarding this issue".